[Independent] Change comes as the Office of Fair Trading is considering legal action against travel firms that refuse to scrap debit-card charges. 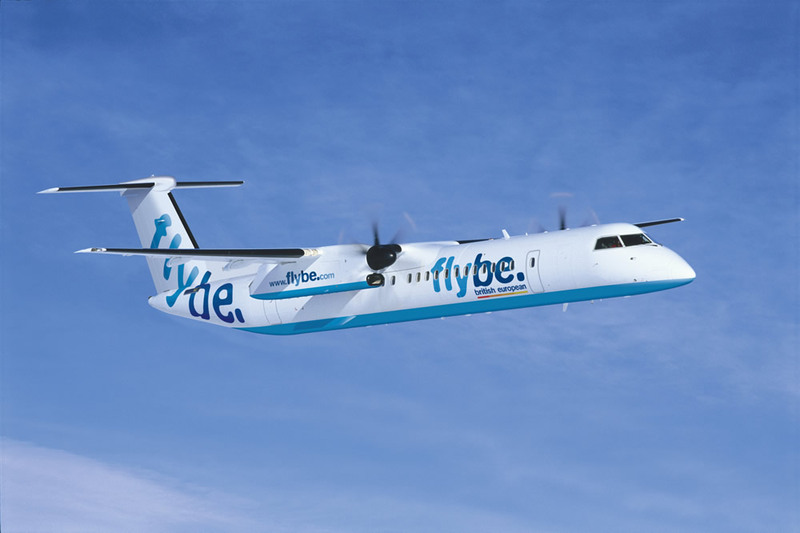 Flybe, Europe’s largest regional carrier, says it has removed the charge as part of “A fair, open and transparent approach to sales and service policies”. Passengers should therefore find fares slightly lower. Flybe introduced baggage fees six years ago. Initially the charge stood at £2; today, the fee for a small 15kg bag on a short flight is six times as much. The change comes as the Office of Fair Trading is considering legal action against travel firms that refuse to scrap debit-card charges. After a “super-complaint” by Which? about surcharges, the OFT said it might take traders to court: “If individual traders do not make changes we consider sufficient in a timely manner, we will consider enforcement action to ensure compliance”. Europe’s two biggest low-cost airlines, easyJet and Ryanair, have no plans to drop their charges. Ryanair collects £6 per passenger, per flight, for debit and credit card payments; the fee can be avoided by paying with the airline’s own-brand Cash Passport pre-paid card. The airline describes the charge as an…..
Read the rest of Simon Calder’s article at The Indepedent…. [Travel Weekly] Flybe has revamped its fares and product in an effort to counter “negative perceptions” about low-cost flights and “growing resentment” at unbundled fares. The carrier announced the changes today under the slogan “Making flying better”. The carrier announced the changes today under the slogan “Making flying better”. Flybe marketing director Simon Lilley said: “This is a major brand re-positioning. An ‘Essentials’ fare – the lowest the carrier offers, giving an assigned seat, no charge for check-in and 10kg allowance for hand luggage. ‘New Economy’ – allowing a free hold bag, seat assignment at the point of booking and unlimited changes of date to a booking for no fee, plus a booking confirmation by text. This will cost £19 more than the Essentials fare on a flight. ‘Plus’- aimed at the corporate market, giving all the above plus executive lounge access and added flexibility, with fares from £99. Lilley said: “We aim to create the most transparent pricing in the industry.” He added: “We think the New Economy fares will become the norm.” The fares launch from the end of this week, when a new website will go live with the booking process cut from five stages to four. Flybe will launch a national “Making flying better” advertising campaign this weekend, initially in national and regional print titles, and commence a first-ever TV campaign next week. The £9 million marketing campaign will be fronted by pilots and cabin crew and run through the rest of the year. The carrier promises further innovations to come, including smartphone booking in May, and in-flight Wifi and TV programming in a summer trial. In addition, the carrier is working with airports to…..
Read the remainder of this story at Travel Weekly…..
A smoke warning lit up on a passenger plane as it flew over Cumbria, prompting actions that “significantly degraded” the aircraft’s “operational capability”, a report reveals today. The warning light lit up as the aircraft flew south west of Carlisle in west Cumbria. The pilots of the Edinburgh-bound Dash 8 aircraft, with 47 passengers on board, assumed it was valid and carried out checklist actions designed to tackle fire or smoke. These caused the aircraft to begin to depressurise, the commander had to fly manually and the co-pilot’s flight displays were blank. But the warning turned out to be false – and was probably caused by a short circuit. The warning light had lit up as the aircraft flew over an unspecified location, about 25 miles south west of Carlisle in west Cumbria. The plane was operated by airline Flybe and was travelling to Scotland from Newquay Airport in Cornwall. The alert happened mid-morning on July 21 last year, a report from the Air Accidents Investigation Branch (AAIB) said. The co-pilot had asked the senior cabin crew member to look for smoke and she reported back that she could not smell any smoke. The captain told her that they “had to fight the fire” and that they would be making an emergency descent into Edinburgh, the report added. The AAIB said that the captain had told the co-pilot that no smoke had been seen but they agreed that the situation would have to be treated “as real”. When the plane landed safely at Edinburgh, passengers were evacuated. The AAIB said: “The crew were presented with a smoke warning but there were no corroborating signs of smoke or fumes. “The pilots were not prepared to proceed on the basis that the warning was spurious and assumed that it was valid.” The report went on: “Subsequently, the continuing absence of corroborating evidence did not alter this assumption. “Having made their assumption the pilots carried out checklist actions designed to remove smoke from the aircraft. Read the full story at the News & Star…. He may be in line to become the King of England but Prince William has shown that he’s as normal as the rest of us, by flying home with a budget airline. Joined by wife Kate Middleton, who has been spotted doing her weekly shop by herself (oh the shock! ), Wills enjoyed a week long break in the French Alps after spending six weeks working as an RAF helicopter rescue pilot in the Falkland Islands. It is thought that the Duke and Duchess spent a week enjoying the ski slopes before taking the easyjet flight from Geneva to Manchester last weekend. However, it wasn’t the first time the couple have flown with a budget airline, as Kate and Wills travelled with another budget airline, Flybe when they flew up to Edinburgh to attend Zarah Phillip and Mike Tindall’s wedding last year…..
More than 120 new air services will begin from UK airports over the next three months, it has been announced. The new routes are spread across 27 separate UK airports, according to airline network organisation anna.aero. Manchester airport, with 16, has the most new routes, followed by Gatwick (15) and Heathrow (12). Jet2, which starts a new base at Glasgow this summer, is the airline with the most new routes (24), followed by Ryanair (19) and easyJet (13). British Airways is starting eight new services, including Buenos Aires and San Diego from Heathrow and Malaga and Marrakech from Gatwick. Flybe, bmibaby and bmi are all starting new routes while American carrier Delta is starting Heathrow services to Boston and Miami and Virgin Atlantic is flying a twice-weekly service from Manchester to Las Vegas. A new airline to the UK is Swiss-based carrier SkyWork Airlines which is flying from London City Airport to Bern. See the Press Association story here….. Copyright © 2012 The Press Association.